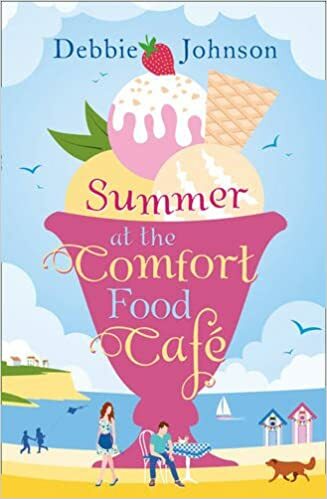 The Comfort Food Cafe is entirely fictional – but I would love to go there! As well as the fab location and delicious food, I wanted to create a place where people felt safe and valued and content. A place where everybody knows your name, just like they used to in Cheers! And while Cherie’s cafe might be made up, the Hive Beach Cafe in Dorset is gorgeously real. It overlooks the beautiful beach at Burton Bradstock, one of the prettiest places on the Jurassic Coast, and has stunning views out across Lyme Bay. Its location is idyllic, and so is its food. The cafe specialises in fresh fish and seafood, which is sourced locally using sustainable methods, and cooked simply and well. The cafe also has a reputation for friendly and welcoming service, and its creative team in the kitchen. There is no definitive recipe for Dorset Apple Cake. It’s one of those dishes that provokes fierce arguments between villages throughout the county, as everyone seems to believe that their way is the only way. The constant in all, of course, is wonderful local apples, baked with butter and sugar to produce a deliciously sticky cake that goes perfectly with Dorset clotted cream. Cut yours into generous slices before serving and make a big pot of tea to sit alongside it on the table. Take a deep, 30cm cake tin and grease the inside with butter. Line with greaseproof paper and set aside. Place the apple pieces in a bowl and toss with the lemon juice. Set aside. Cream the butter, cinnamon and caster sugar together in a bowl with an electric whisk until pale and fluffy. Beat in the eggs, one at time, and whisk in a little of the flour after each egg to keep the mixture smooth. Pour in a little milk to thin it if the consistency becomes too thick. Drain the apple pieces and stir them into the mixture. Spoon the mixture into the prepared cake tin, gently level the top and sprinkle with the Demerara sugar. Bake the cake in the oven for one hour or until it has risen and browned on the top (if the cake is getting too brown, you can cover it with a sheet of greaseproof paper after 45 minutes or so). The cake is cooked when you insert a skewer into the middle and it comes out clean. Thank you Debbie for sharing that wonderful recipe it sounds so good I'm going to have to try it out! A fast-moving thriller from the hard-bitten world of New York to colourful Istanbul. 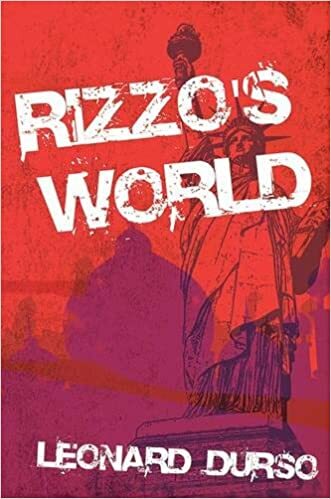 Rizzo, a New York journalist separated from his famous wife, has settled a little too comfortably into the single life, drinking every day in his favourite bar with old friends. Then he receives an unexpected call: his best friend Cemal is dead, murdered in Turkey. He owes it to Cemal to find out why and who is responsible. The trail leads him backwards and forwards across the Atlantic, reuniting him with the daughter he no longer knows and the wife he thought he had lost for good, and introducing him to Cemal's Turkish family who hold the clues to the mystery. With the help of Cemal's cousin Meral, an enthusiastic and surprisingly resourceful Turkish journalist, he finally works out who was responsible for the crime; but will he be able to solve the puzzle of why and instigate retribution before he and his family become victims themselves? Rizzo’s World is a mystery/love story about a journalist’s search for the killer of one of his two closest friends, Cemal, in Istanbul while he tries to reconnect with his estranged wife and a daughter he barely knows in a city far away from his home. Rizzo is a consummate New Yorker out of place in Istanbul, the home of his Turkish pop star wife, Burcu, and his college aged daughter, Cansu. As he tries to navigate the city and piece together the last days of his friend’s life, he finds he is also given the opportunity to repair the damage in his relationships with his wife and daughter and possibly form a family unit once again. He also begins to learn about Cemal’s other life in Istanbul and his obsession with a crime family that has tentacles that reach as far as his own beloved NYC. During his investigation, aided by Cemal’s cousin Meral and his own daughter, this crime family begins to threaten the fragile bonds in his family’s life. The mystery, though, is really almost incidental in this character-driven novel. For the real focus of the story is on Rizzo and his “world” of family, friends, and work. For the title is also the title of his column at the magazine but also what the story is really about. Rizzo is a deeply flawed individual who must come to terms with his own failures as a husband and father. Here is a man with a drinking problem, an inability to commit to even naming a dog, a phobia regarding cell phones and social media, and a tendency to think of anywhere outside of the five boroughs of New York City as cultural wasteland. It is this character and his partial reformation that appealed to me. The inspiration for this book began decades ago with the opening sentences “I always walk my dog at eleven. It’s a habit I’ve gotten into that my dog won’t let me break.” Over the years the character who spoke those lines began to develop in various drafts of novels centering around him until finally living overseas in Turkey brought the book into focus for me. For here was a man set in his ways who had to change, or, at least, adapt, his ways in order to have meaningful relationships, especially regarding family. Yet he was also a loyal friend and my own friendships that go back decades now influenced the way he interacted on his home turf. The banter in his hangout of Jake’s Tavern echoes many similar evenings spent in bars and restaurants with my own friends. As the character developed, he became a product of his world just we all are products of our own worlds. And that world, and that character, no matter what difficulties he found himself in, continued to amuse and delight me. Hopefully readers will find Rizzo and his world equally fascinating, too. I am a native New Yorker who was talked into going to school in Ohio by my supposedly best friend and ended up staying there long enough to receive a Master of Fine Arts in Creative Writing from Bowling Green University. I drifted out to Los Angeles because my ex-wife was intent on becoming a movie star. Having no better way to squander my money, I opened up a literary bookstore called Intellectuals & Liars in Santa Monica and became part of the poetry scene there. I had a few short stories and an excerpt from an earlier novel published in some small literary magazines, held weekly poetry/prose readings, published broadsides, and, being no exception to the rule that poetry doesn’t sell, went out of business. This led to a series of jobs like selling shoes, running a warehouse, writing advertising copy for radio, and, after completing a second MA in Teaching of English to Speakers of Other Languages (TESOL), began teaching English to immigrants. Since my main concern was keeping a roof over my head and the wolves from the door while I continued to write, I took a job as a full-time tenured faculty member at a college. Eventually, not being satisfied with just teaching, I created an English Language Institute and went over to the dark side and joined the administration so I could run it. I then became the Director of the Language Center at one college and the Director of the English As A Second Language Program at another college. Finding myself enamored with the idea of living overseas, I took a job in 2008-09 as the Director of the English Preparatory Program at a two year vocational college in Beykoz, Istanbul. 2009 found me bouncing back and forth between New York and Istanbul but, as of May, 2010, I eventually settled in Istanbul to be the director of the English program at Plato College of Higher Education for four years, then moved to Izmir to coach managers at a petrol/chemical company. Now my work is to read, write, and travel. And once, in a city far, far away, I was a scoutmaster, which means I’m pretty good at tying knots, building campfires, and am also loyal, trustworthy, helpful, etc. I’m a literary butterfly. I love to read and I read prolifically with no particular loyalty to any author. 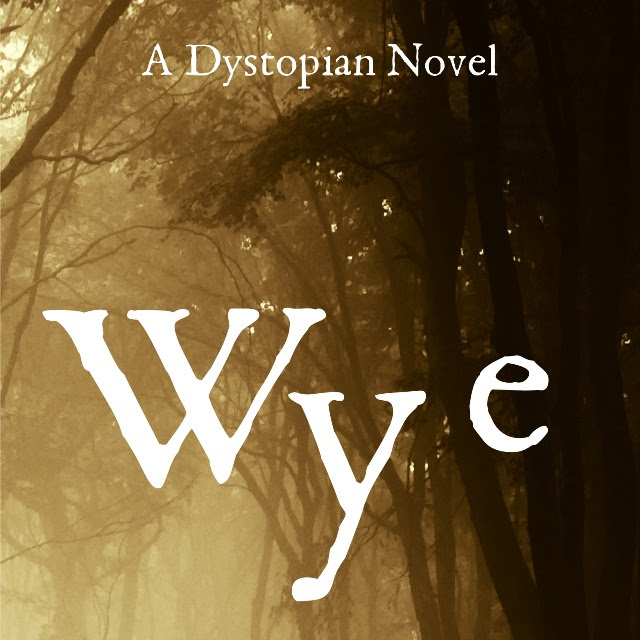 I read what’s new, what’s recommended, and what people are talking about, with a particular bent at the moment toward psychological thrillers. I also think you read whatever stage of life you’re currently at, so my favourite authors change over the years. Ones I’ve read a fair bit of include Robertson Davies, Nora Ephron, Iain Banks, Vikram Seth, Rohinton Mistry and Sebastian Faulks. 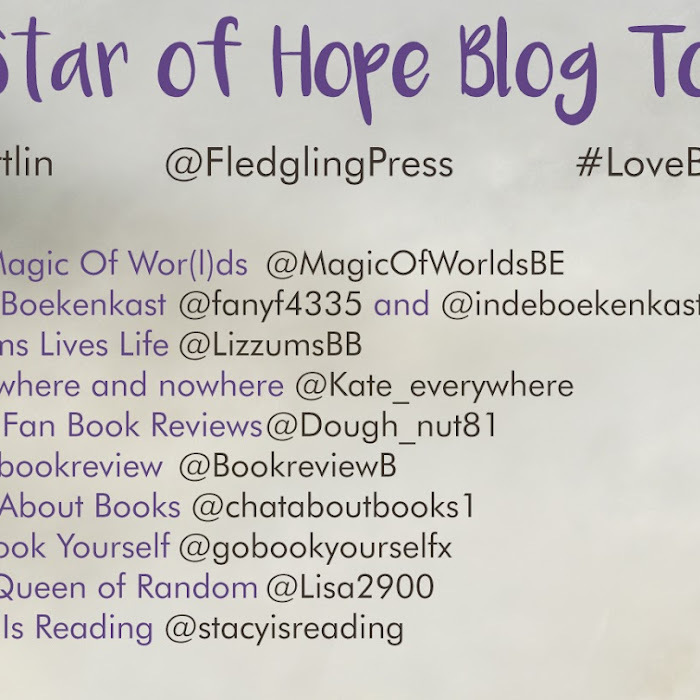 I’m just getting into Simon Kernick – I’m bit late to the party with that one but I do like discovering authors once they’ve got a body of work behind them as you can then immerse yourself in it non-stop without waiting for the latest release to come out! Tony Parsons: In 2010, I was lucky enough to get a place on a writing masterclass held by him at the Emirates Airline Festival of Literature. I learned a lot, but the one thing that stuck out was his advice for writing a best-seller: ‘Don’t fake it. Rip it from your soul.’ Your readers, he said, are not stupid. If you’re trying to write a book specifically to meet trends and be a bestseller, they’ll see through it. It’s only when you write from your heart that people respond to a story. It’s great advice. In 2013, she won the inaugural Montegrappa Prize for First Fiction at the Emirates Airline Festival of Literature. Her work caught the critical eye of top London agent Luigi Bonomi and Annabel went on to secure a three-book contract with Harlequin’s MIRA. Her debut novel, Coming Home (MIRA, May 2015), is the reworked version of the prize-winning manuscript. 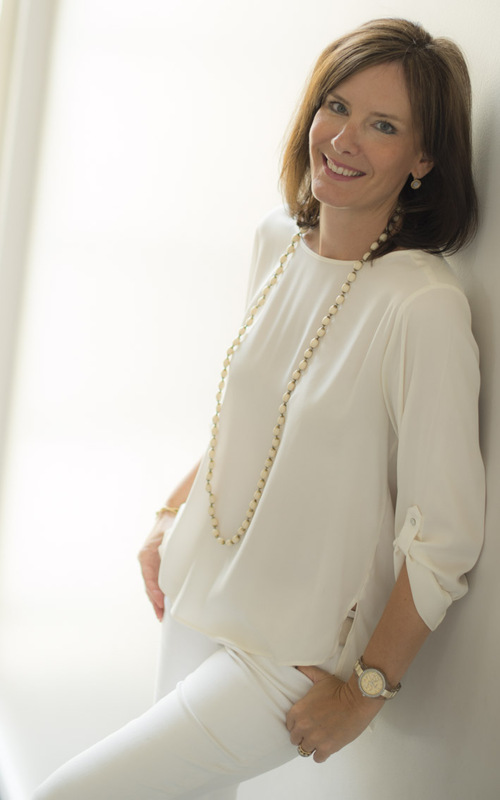 Annabel studied psychology at Warwick University, graduating in 1992 with a BSc Hons degree. She liked the idea of becoming a psychologist but the call from the written word was louder. 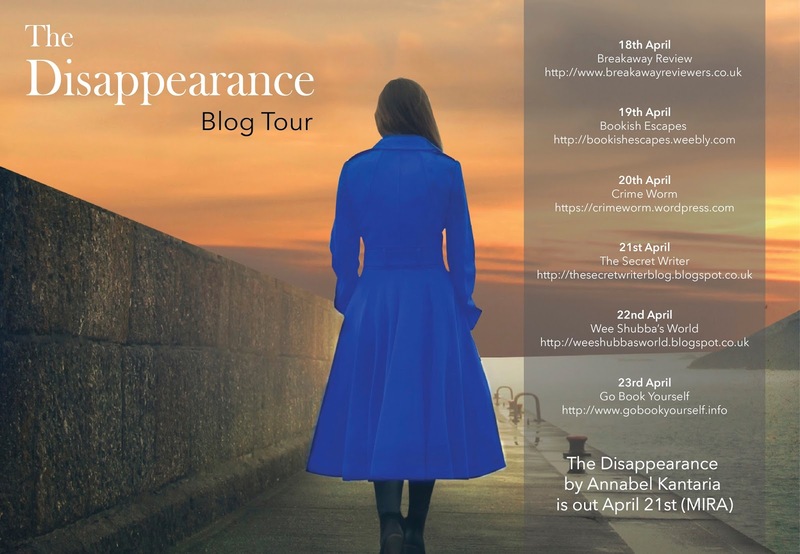 She spent six years working in publishing in London, first at Franklin Watts and then at Dorling Kindersley, before marrying and moving to Dubai in 1998. In the early days in Dubai, Annabel worked as a freelance journalist and a radio producer before being appointed as editor of the region’s leading woman’s magazine, Emirates Woman. In 2007, Annabel left office life to work as a freelance journalist while following her dream of writing fiction. She has written prolifically for publications in the UK and across the Middle East and currently juggles her fiction-writing with her work for The Telegraph and Stylist Arabia while bringing up her children. Novels remain Annabel’s passion: she drafts her manuscripts not only every moment she’s awake, but often in her sleep as well. I sat in the back of the old protestant church and listened to the pastor go over his spiel. The people in the front few rows expressed their hallelujahs and their amens as the people in the back were a little less talkative, or at least not as expressing as the others. I heard the hypocrites beside me discuss the pastor’s wife’s clothes, and how she could have ‘taken more time’ and at least ‘tried’ with her makeup. This is to say if the woman had time after dealing with her lying pastor husband’s affairs and his righteous behavior. I looked to my right, where the pastor’s son sat playing his Nintendo ds, volume turned all the way down to nothing, and to directly behind me where there were three little old ladies discussing the affairs of several of the people whom resided in the congregation. It was a place full of sin, rivalling Hell. I stood at the end of the service and closed my bible. I walked over to where the pastor was, shook his hand, then made my way out of the small church. Nice cars and trucks littered the parking lot, and people, as soon as the service had ended, pulled out their cellular phones and began their routine of checking messages and Facebook. I continued my trek past them, and then over to the small diner where my ‘usual’ table sat lonely and uninhabited. I nodded and opened my bible once more. I looked at several verses that I had been collecting over the years. Several were more terrifying than the next. It wasn’t uncommon for a person like me to find solace in such words. God knows, I heard the whisper in my head once again. I swallowed, and tried to get rid of the bile in my throat. Yes, God knew. God knew everything, like where I hid the bodies, where the weapons were, where my wife’s clothes were buried, and why I killed my best friend. God knew it all.